Welcome to the SHOUT Bridgend website. Here you will find details of our meetings and events. Contact us if you would like further details. We have meetings every month in Evergreen Hall, Angel Street, Bridgend at 10.30 Our speakers discuss matters that impact on the over 50s in the Borough, click on our events tab for the programme . Future speakers will include the Bridgend CBC, The Red Cross, Trading Standards, the Fire Service, The NHS Nutrition and the police. If you have any ideas for future speakers then contact us. Its all free so why not come along and give it a try. We have weekly Tai Chi sessions, aimed at complete beginners. They are held in the Evergreen Hall, Angel Street. Classes start at midday. You’ll learn a set of simple Tai Chi/ Qi gong moves and the group will build their confidence from week to week. These sessions will be very low impact and they can be done seated or standing. Its free so why not drop in and give it a go. Refreshments are available afterwards. Join us for a free cuppa and say hello and why not bring a friend. 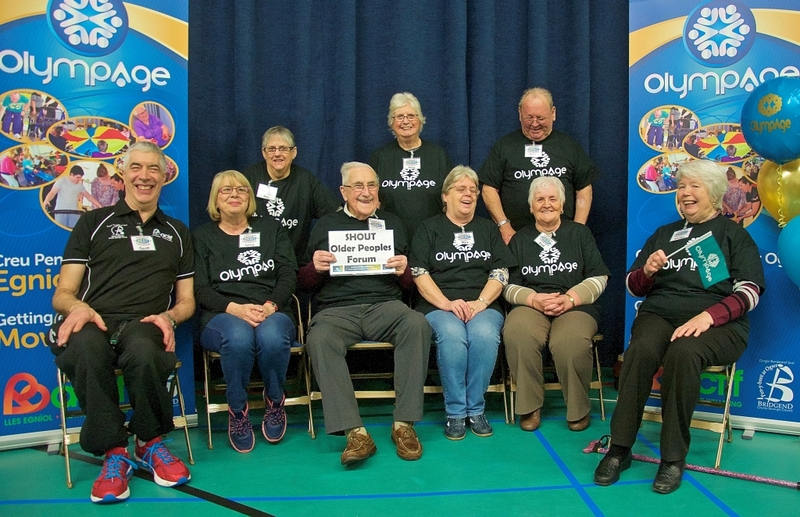 The voice of over 50's in Bridgend County, together we make sure over 50s are considered and listened to by service providers across Bridgend County.